Here are all the needed commands to install Piwik on nginx on Ubuntu 14.04 on Rackspace Cloud Server with GeoIP PECL and GeoIP PHP modules. We are using a separate MySQL Server Instance (1 GB PVHVM, Ubuntu 14.04) with InnoDB Engine and a Web Server (2 GB PVHVM, Ubuntu 14.04) running Nginx. It is not abnormal forget own father’s name to rightly configure! However, we have reproduced the step by step commands to install Piwik on nginx on Ubuntu 14.04 on Rackspace Cloud here from recent successful installation. You should optimize your WordPress installation first. We are installing on HTTPS url under a subdirectory named piwik. No special version of Piwik for Nginx is required, this is the latest Beta version. You possibly should read about PVHVM, Initial Nginx Installation and WordPress Installation, followed by Optimizing Nginx and Setup Separate Database Server. Our setup is Nginx default. If you have custom Nginx setup, you might forget your father’s name during installation. We used Piwik before, it was Apache2, it was a nice web software. But currently the web software does not appears to be great, it is horribly slow on 2 GB Nginx server with 1 GB database server. 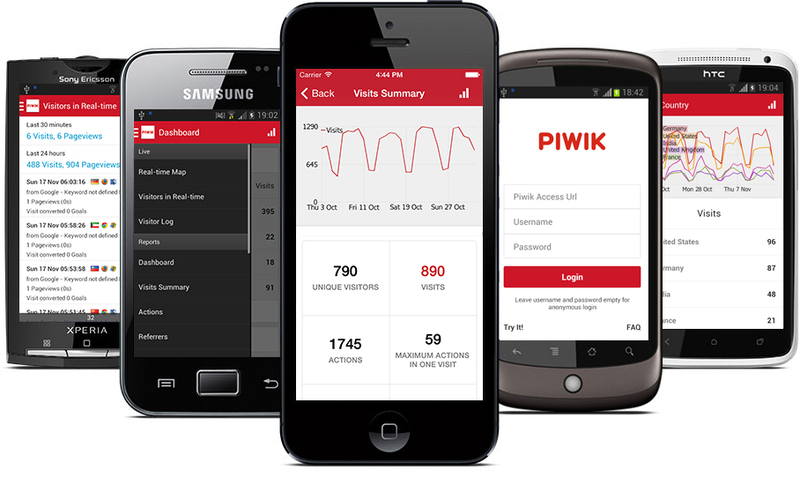 Consider other free and open source analytics software with Piwik’s current state. It practically does not work at real time nicely.Graphs are of worser quality in today’s standard. The reason to discourage you is for the reason – it is resource hungry PHP software and with time popularity is killing it. SSH to Database server and run the commands to allow your web server to access it following our older guide. We are starting from SSH on web server escaping the MySQL database creation part. You can read the above linked articles. mv * .. && ..
Go to https://your-domain.com/piwik and run the browser based installer script. It will complain for setting permission, ownership etc. Copy-Paste the commands in terminal, if throws error, create the directory and then chmod. chwon command should be run last. The installation wizard will complain one binary file ( .yml ) to be missing. Get the raw file from Github’s official repo and paste on Nano, save it. chown and chmod it rightly. Unfortunately it will complain that file size is not matching. Fortunately it does not matter. Complete the installation from web interface. Up to this step can take 1 hour. Only working from CLI on two servers needs a minimum time. Set the GeoIP tracking method from settings. Use the default java script generated by Piwik to WordPress, only replace one image file’s url from http:// to // for HTTPS. After skipping so many steps and assuming you are an intermediate user, the word count has crossed 700 words. WordPress definite has reason behind success as web software. A noob can install it. We do not recommend this software for infrastructure or full managed Rackspace. It can potentially harm server’s performance. It is not written to run on scalable cloud infrastructure. Search for non-PHP analytics software which is open source. After Rackspace Cloud Intelligence Graph, Piwik looks pathetic. This Article Has Been Shared 6902 Times! Cite this article as: Abhishek Ghosh, "Install Piwik on nginx on Ubuntu 14.04 on Rackspace Cloud," in The Customize Windows, September 3, 2014, April 21, 2019, https://thecustomizewindows.com/2014/09/install-piwik-on-nginx-on-ubuntu-rackspace-cloud/.